I started reading this book as part of my book club. Initially I had thought it a fairly bog-standard horror story. Five young people stay in a cabin in the mountains, in the middle of nowhere, nothing else for company other than some man-eating monsters. I started off reading this feeling I was in predictable territory and started guessing which characters would die and which ones would live. Except this was no predictable book. 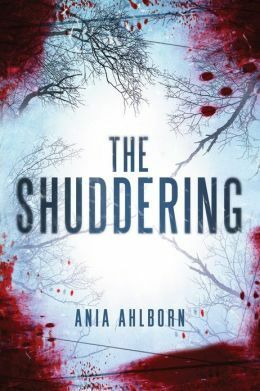 Ania Ahlbon writes in a way that has you really caring about all the characters creating a really tense atmosphere as you know some of them were going to meet a really grisly end. You want to be able to tell them as you read. The book starts off at a very gentle pace as we are introduced to twins, Jane and Ryan Adler who are spending their last weekend at the parent's luxurious cabin in the Colorado mountains before it is sold. Ryan is about to depart for a new job in Switzerland and wants to spend some time with his sister and childhood best friend, Sawyer. Jane has recently divorced from her cheating husband but still pines for her first love, Sawyer, who left for Boston to pursue a career in music. So she's not too happy when he brings his girlfriend, April who is a start contrast to Jane. April quickly sees there is chemistry between her boyfriend Sawyer and his ex, Jane. She is terrified that she might lose him. You find yourself quickly feeling very involved in their lives, in some moments it is like you are there with them. Things really kick off after a blizzard which prevents anyone from leaving and quickly they realise that all the strange noises they have been hearing aren't deer or wild animals but strange man-eating monsters. Just when you think you are figuring out the plot it will go in a completely different direction. For me this was quite similar to the tv series 24. It's a really addictive read. Suddenly this book changes from what feels like a teen romance to a fast and thrilling horror story. Made all the more scary because you want them to live. There's a great level of gore and I get the sense Ania Ahlborn had a lot of fun writing this book! I think this could have been a really average lacklustre book but it is written really well and Ania keeps you guessing right to the very end.